Step 2. 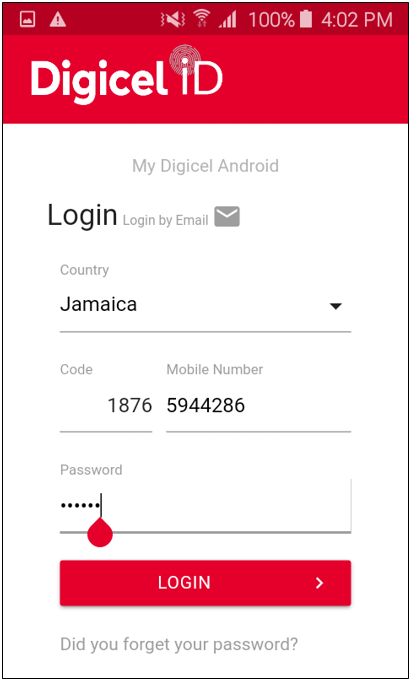 Login into the My Digicel application with your Digicel ID and password. 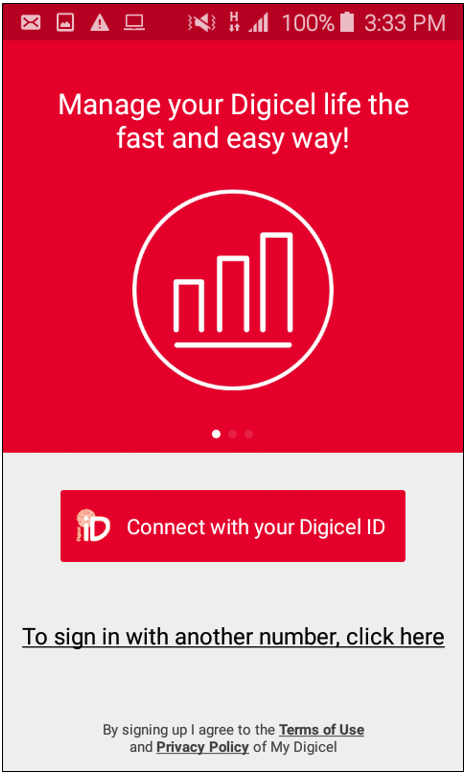 Click on the red ‘Connect with your Digicel ID’ button. Enter your ‘Mobile Number’ and ‘Password’. Click on ‘Login’. Home Page will be displayed. 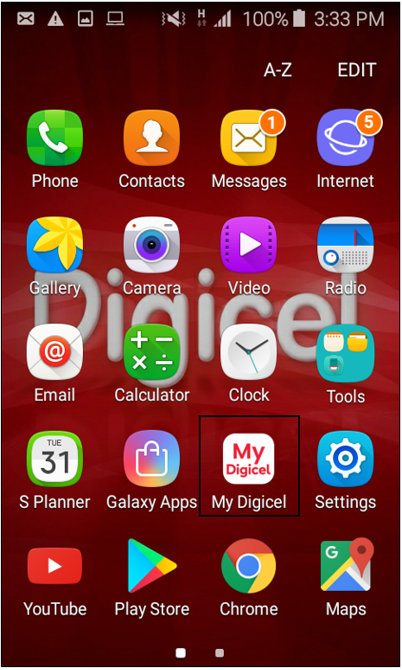 Download the My Digicel App for free today!